My Submission was written as an Introduction to Gurmat Sidhant (Philosophy of the Masters), which sets out the teachings of the Great Master, Maharaj Sawan Singh, the Master at the Radha Somei Satsang ?Beas from 1903 until his passing in 1948. 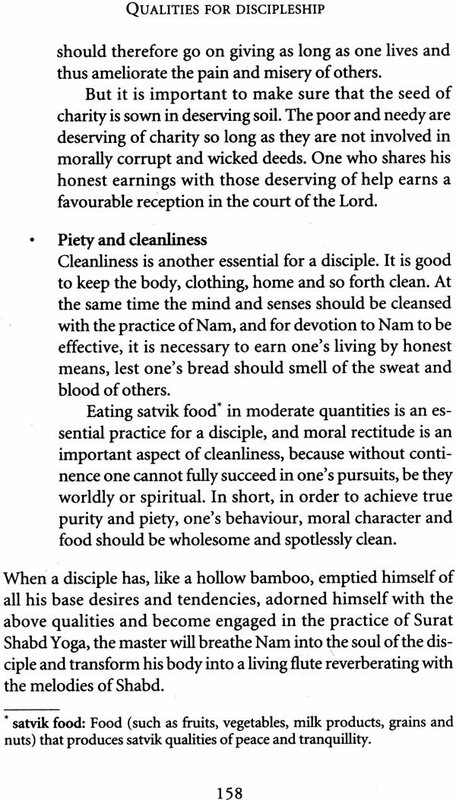 Since it presents a summary of the teachings of the Great Master that is both concise and complete, the English version was published as a separate book in 1959. 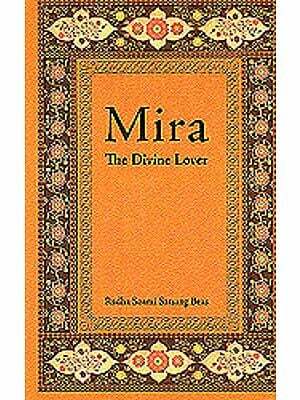 This edition is a new English translation from the original Punjabi. Like the encyclopaedic two-volume original, My Submission is also divided into two parts. The first part, “Spirituality and Religion,” explains the fundamentally spiritual nature of humanity and our place in the creation. 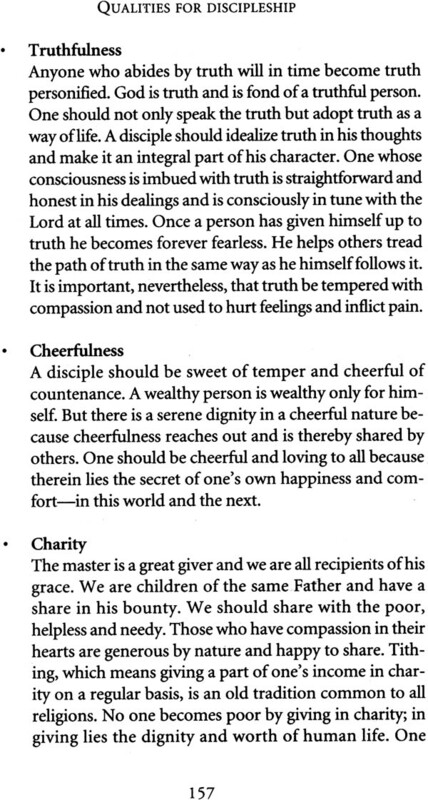 The Great Master shows how spirituality unites people while religion divides them. He emphasizes that it is not theory and concepts but the practical application of spirituality that is essential if one is to derive any lasting benefit. 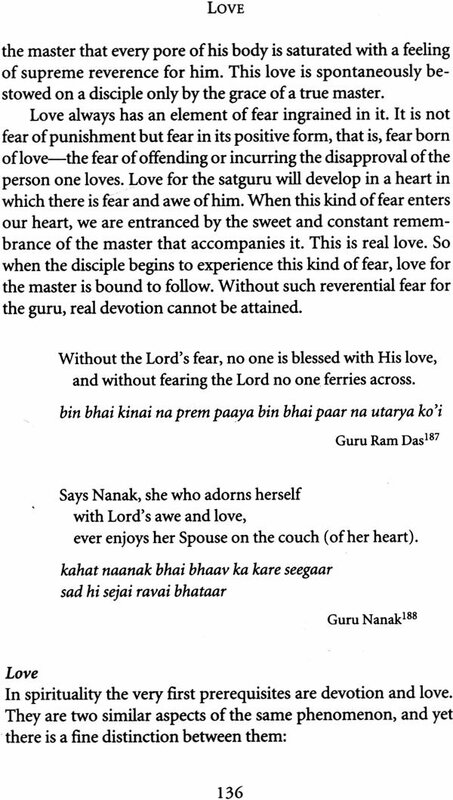 He concludes this first part with a discussion of the three pillars of spirituality: satsang (“the company of someone who is alive with the spirit of God”); Satguru (the true living Master who embodies that spirit); and Sat Nam (the true Name, which permeates and sustains the entire universe, referred to in the Bible as the Word, Holy Ghost, Spirit, Name or Logos). In the second part, “Spiritual practice,” the Great Master describes the actual practice of Surat Shabd Yoga, the merging (yoga) of soul (surat) in the Word (shabd). 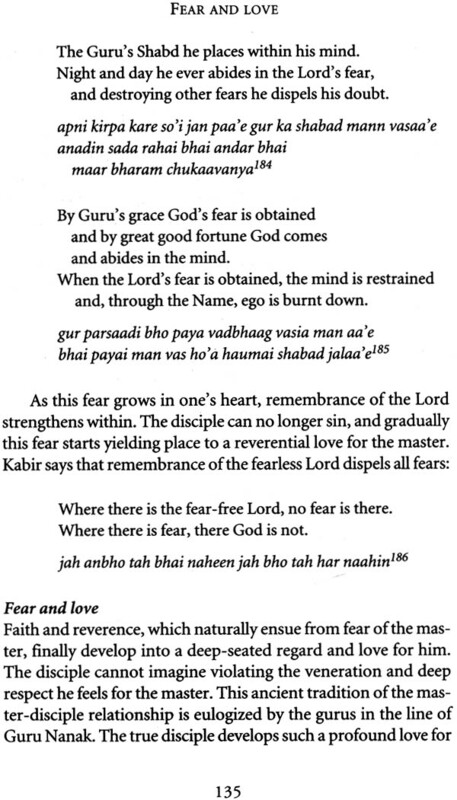 By listening to the Shabd or Nam, our soul merges with God, its source, and we attain liberation from the cycle of death and rebirth. 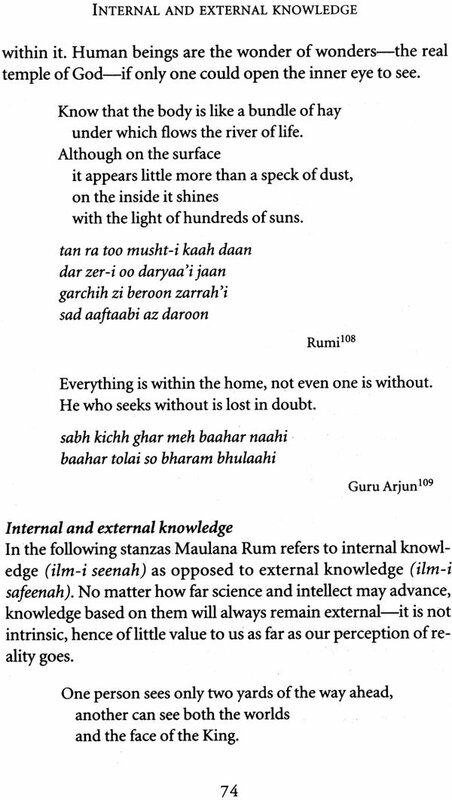 The Great Master also explains the three parts of the meditation practice-repetition (simran), contemplation (dhyan) and listening to the sound of Shabd (bhajan). The emphasis is on the central role of the spiritual teacher, the Master or Guru, and how disciples should cultivate the inner relationship with him, making mediation and service (seva) the priority in their life. It is only by putting into practice the Master’s advice that we can develop our love for Shabd, slowly, detach ourselves from worldly concerns and evolve towards true self-realization and God-realization. 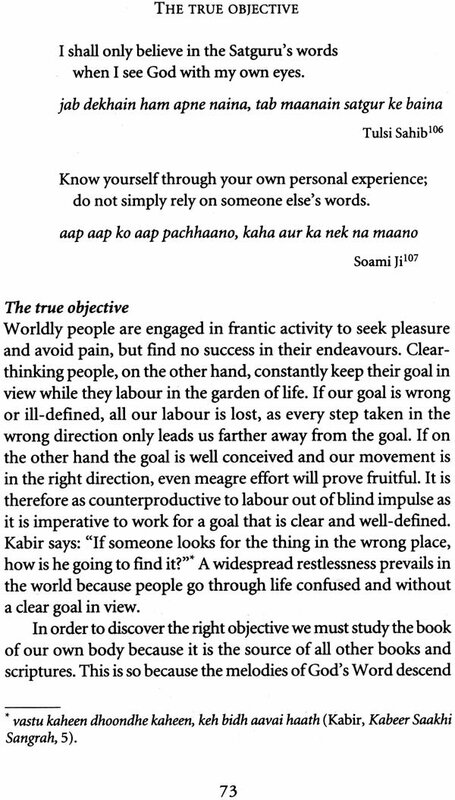 The purpose of this book is to reinforce our understanding of the teachings and encourage us to continue in our practice. It shows us the unity behind diverse traditions and emphasizes the simplicity of what is required of us. 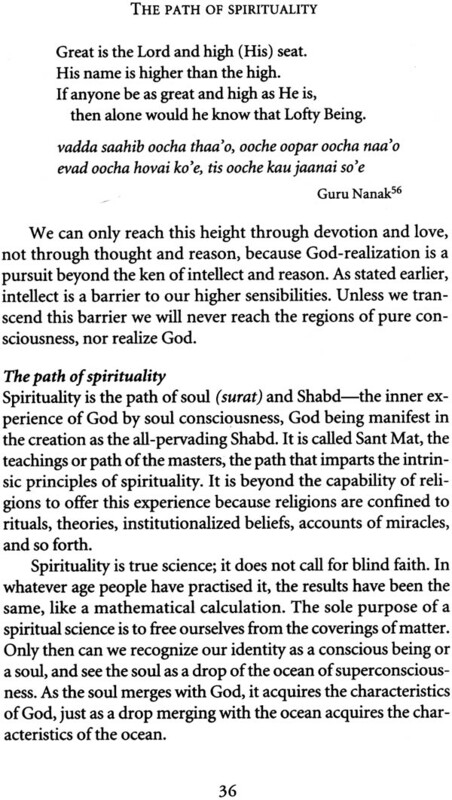 The Great Master, like all teachers of spirituality, clearly reminds us that Sant Mat, the mystic path of the saints, is ‘caught’, not taught. The inspiration of the Master and the daily practice of meditation are central to this process. Books, seva (service) and satsangs (discourses) have a supportive role to play. They help answer our doubts and questions up to a point, but real love and faith come from within-from inner personal experience gained through meditation. The mind has many, various and sometimes complicated questions, but ultimately there is one simple answer-meditation. In talking and writing, the Great Master would quote freely in Punjabi, Hindi, Persian and sometimes in English. He drew on many source, in particular the saints included in the Adi Granth, but also other Indian mystics, various Persian mystics (he was well versed in Persian literature) and the Bible. Through his wide- ranging choice of sources, he brings to light the common thread of spiritual truth that runs through diverse religious and cultural traditions. 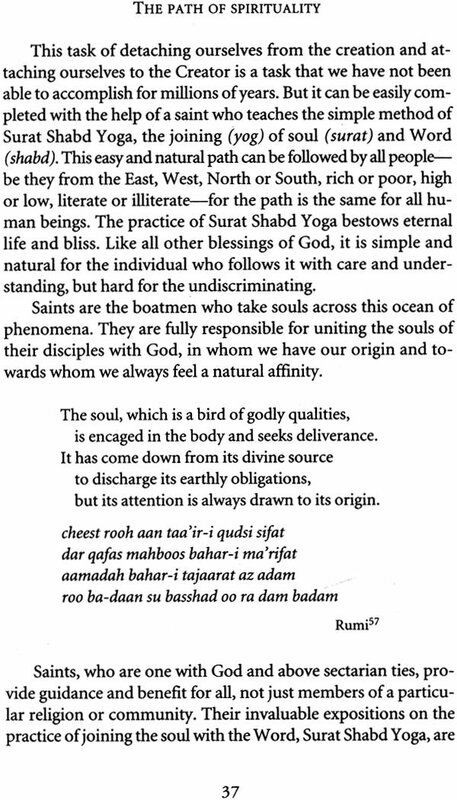 The quotations taken from the Manmohan Singh translation of the Adi Granth have been given verbatim; in the translation of the other quotations, the aim has been to bring out their underlying meaning rather than provide a literal rendition. When the Great Master’s quotations are given in the original language, a phonetic transliteration is provided along with an English translation. The transliteration follows a simplified system designed for the benefit of readers who understand the original spoken language but do not read the traditional scripts. Since the sources of some of these quotations, especially those of Persian origin, have proven difficult to locate, readers with information on sources noted as unavailable are invited to contact the publisher. It may be useful to comment briefly on the English title, My Submission, which has been retained in the interests of continuity. There is an ambiguity in the English that is not present in the Punjabi concept from which it was derived. While it is tempting to read the meaning ‘surrender’ into the word submission’, the title in this context refers not to the Great Master surrendering himself, but to his presenting his listeners or readers with a perspective. The saints do not force their understanding on anyone; rather, they provide us chance to take into consideration their mystic vision and way of looking at life and to reflect deeply on their insights so we may find answers to our life-long questions. Thus we find the courage and inspiration to put their teachings into action into action in our everyday lives and make that inward journey to our and eternal home. On whom should we contemplate?